French Riviera (or Côte d’Azur, if you prefer authentic French name for it) is a name for a Mediterranean coastline of the southeast part of France. It’s a perfect summer getaway and it became a sort of a fashion playground for A-listers over time. In the middle of the last century, the French Riviera attracted celebrities from show business, art and business. Fashion divas like Brigitte Bardot, Audrey Hepburn, and Jane Birkin were just a few of them, who created a specific fashion style which is still a huge inspiration for designers and fashionistas. Don’t worry if you don’t own a yacht or you’re not spending your summer vacation on the French Riviera. You can still look as glamorous as previously mentioned fashion icons. So, if you want to adopt the French Riviera style, let’s see what key pieces should you own. Breton stripes originate from this part of France but it was Coco Chanel that introduced the design to the fashion world in 1917 after her visit to the French Riviera. So, the inspiration for this piece came from nautical industry and now it’s an inseparable part of the Parisian chic style, and that’s exactly what the French Riviera style is – a beautiful mix of these two styles. Nothing says Côte d’Azur like stripes. 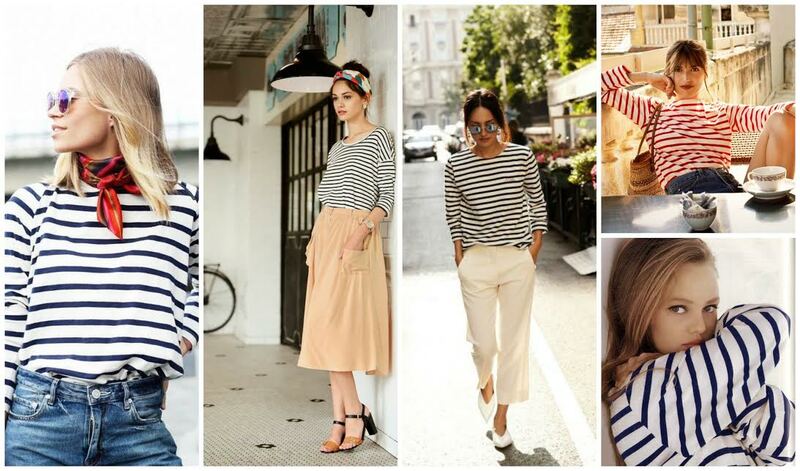 Whether it’s an iconic simple black/marine and white blouse, a dress, or even shorts – stripes bring a dash of French nonchalant elegance to every outfit. Plus, they can be figure-flattering if you wear them properly. The French Riviera style colour range consists of a few basic shades – white, red, navy blue plus a few neutral tones like beige, taupe, khaki, blush, etc. So whenever you’re in doubt, opt for simple, minimalistic pieces in one of these colours and you’re good to go. Light neutral colours like white and beige are perfect for summer due to their ability to reflect sunlight. Loose blouses with shorts, plain T-shirts with culottes, or glamorous formal dresses in neutral shades – the possibilities are endless. The trick for looking fabulous in minimalistic clothing is in choosing ensembles with detailed tailoring and carefully picking the appropriate accessories. 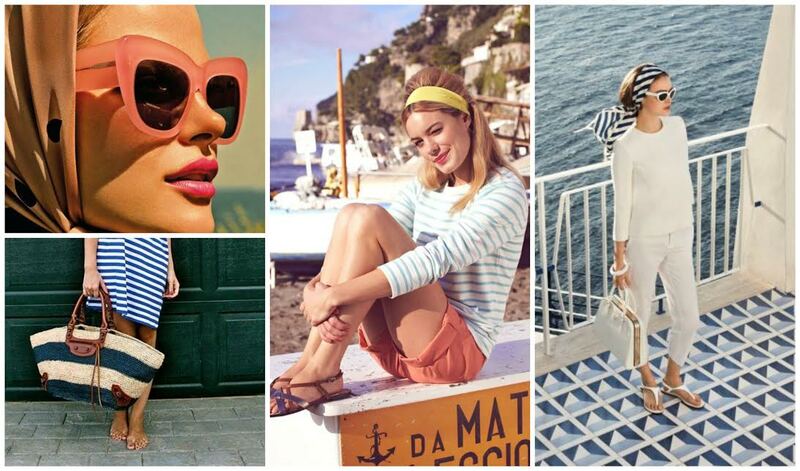 The French Riviera style means simple elegant clothing and specific accessories. Since this kind of style is usually associated with summer fashion styles, hats are the essential part of every outfit. Flat-brimmed straw hat or wide-brimmed fedora – it’s up to you and your face shape. Another typical summerish accessories are wicker, raffia or straw bags which automatically bring the glamorous images of Cannes to mind. First association to Brigitte Bardot and Jane Birkin are big sunglasses with white or colourful frames. Get those sunglasses and add a big hat to feel like a celebrity. Every woman with a refined taste for fashion knows that a good swimsuit is as important as good shoes. The French Riviera style includes feminine one-piece swimsuits that look good on any body type. If you’re more into bikinis, don’t worry – bikinis have their role in Côte d’Azur style, too. They’re usually more covering than ordinary bikinis since they’re either high-waisted or high-necked. But this subtle coverage can add a certain classiness to your beach outfit. As you can see, the French Riviera style breathes simplicity and nonchalance. The good thing about it is that you can use some of the pieces you already have in your closet. Take your striped blouse and navy shorts, add big sunglasses and stylish straw hat, et voilà – you’ll bring a dash of the French Riviera chic wherever you go.